This printable pattern will come to you in the form of a digital PDF file. 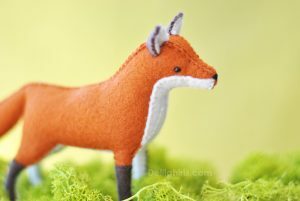 The file is 6 pages long and includes the pattern pieces and instructions to create a felt hen and chicks in two different sizes – Mini sized at under 4″ and medium sized under “6 inches tall. This felt chicken sewing pattern is such a fun project for making adorable Waldorf style toys or even keep them as a decoration. Add a string and you’re got a fantastic felt ornament! These chickens can be sewn with wire legs for pose-able fun. Or sew them without legs for cute bird nest sitting. These felt toys would make for a fantastic handmade gift for imaginative barnyard play. Or why not pop them into a Easter basket? Stay Tuned for more barnyard fun to come!